As I mentioned earlier, Zach and I have been attempting to get out and about every weekend. February started out strong, but fizzled a bit at the end. 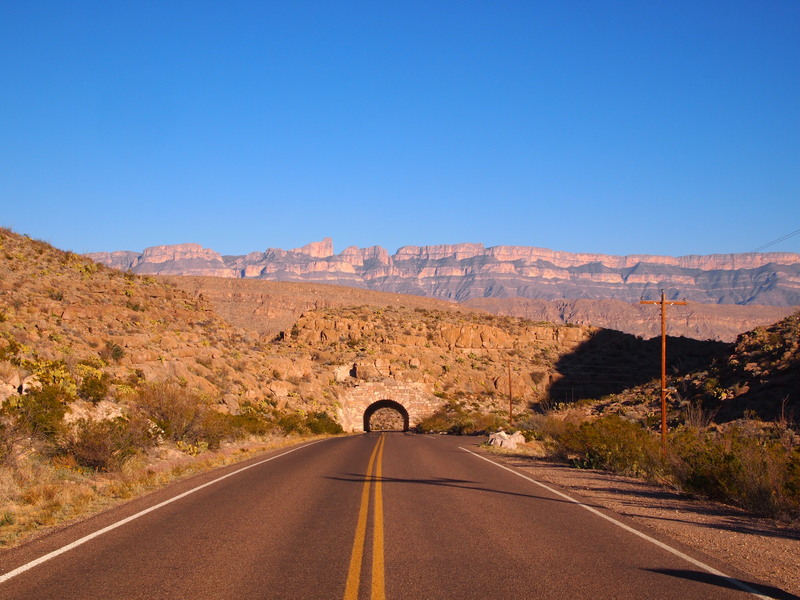 March has been similar – spring break took us out of Texas and Easter is taking us to Austin. But, hey, we’re still gonna get out and explore when we can. 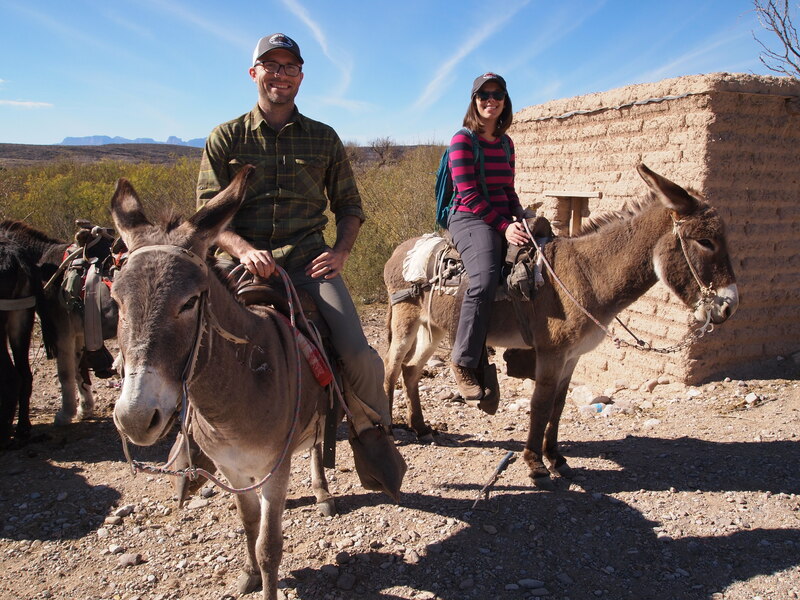 At the beginning of February we decided to check out Boquillas del Carmen. 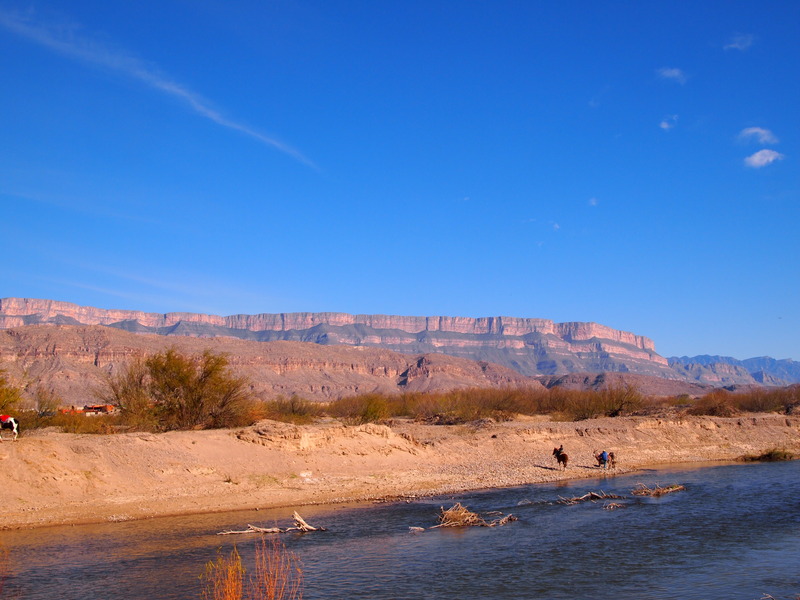 It’s a small tourist town on the Mexican side of the Rio Grande just a hop away from Big Bend National Park. 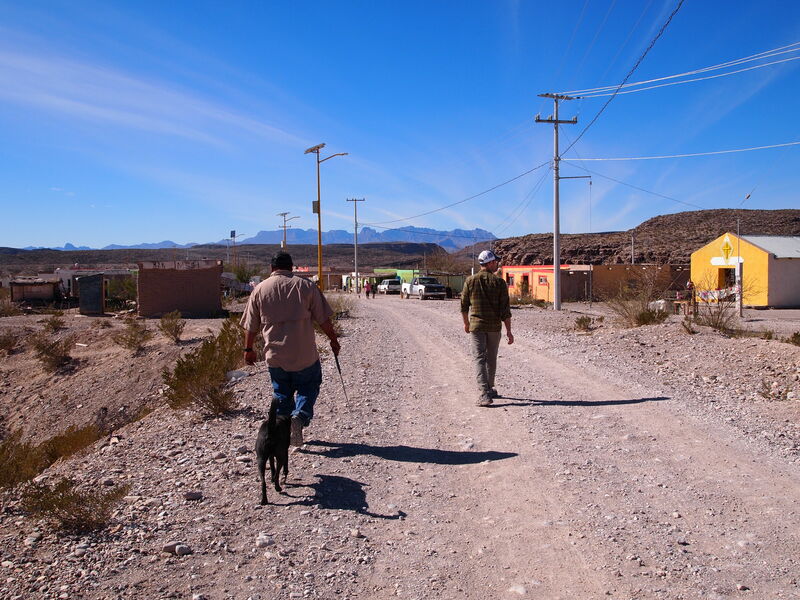 The town was deserted when the border was closed in the aftermath of 9/11, but when the border re-opened in 2013, Boquillas slowly came back to life. 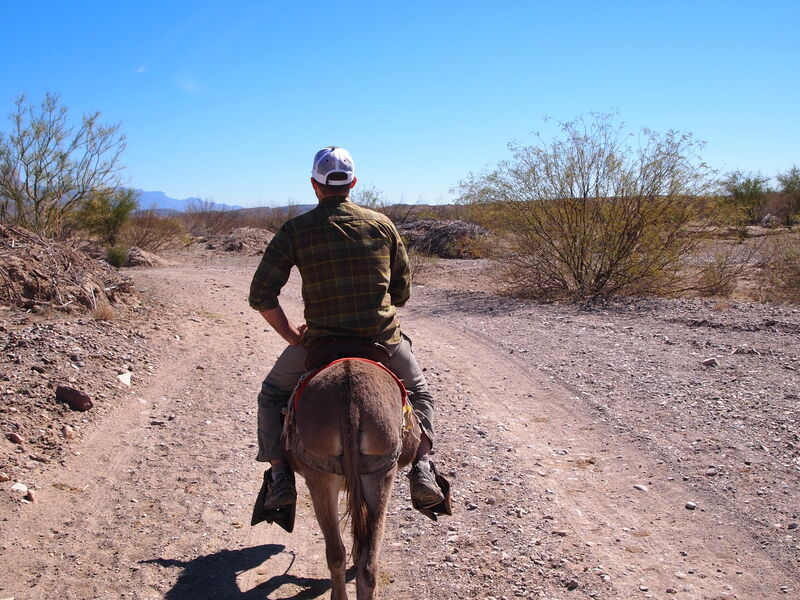 We didn’t arrive at the border crossing until the afternoon, but all you really need is an hour or two. 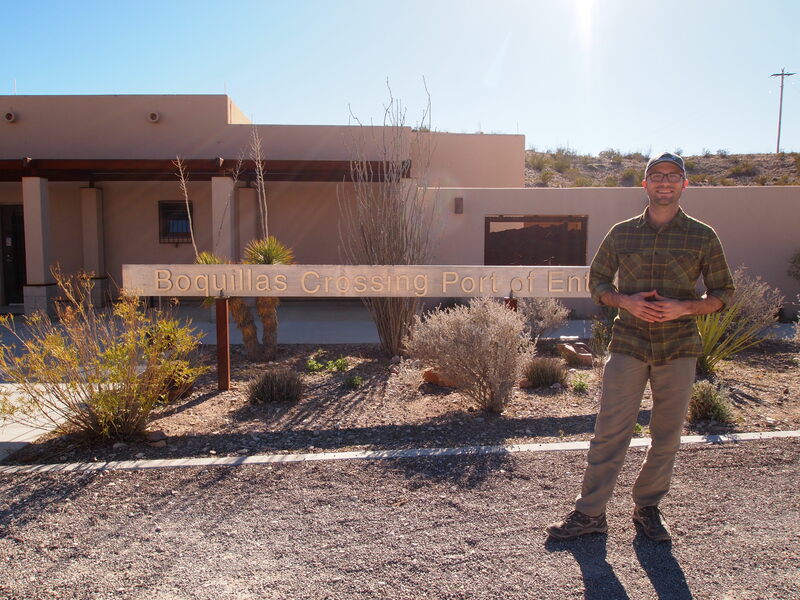 There is a new border station in Big Bend NP managed by the park rangers. They greet you, make sure you have your passport, and give you directions to the river. It was a brief walk down to the riverside and there was no marked dock. However, once we were spotted from the other side, a boat was in route to the bank. The boat ride was $5 round trip, and while you could technically wade through the water if the river is low enough, it’s part of the experience to take the boat ride. 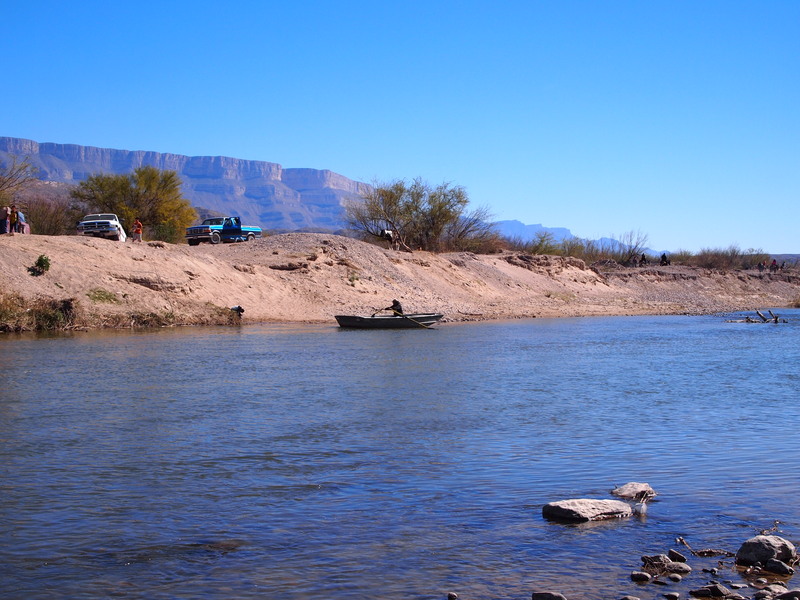 In addition, Boquillas is quite literally supported by the tourism industry – every little bit contributes to their economy – so why not enjoy the boat ride across? What a great view for me! Once we made it to town, we were escorted by our guide to the customs trailer to secure our tourist permit. It seemed a bit excessive since there wasn’t anywhere else we could go, but our passports were stamped anyway. Then we opted to eat lunch. 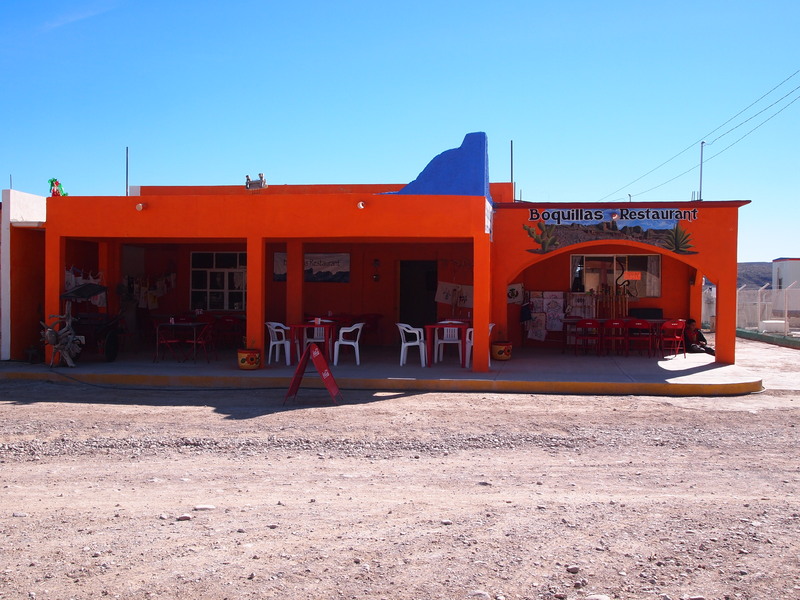 Falcon’s is the popular establishment, but we ate at Boquillas Restaurant at the urging of our guide. 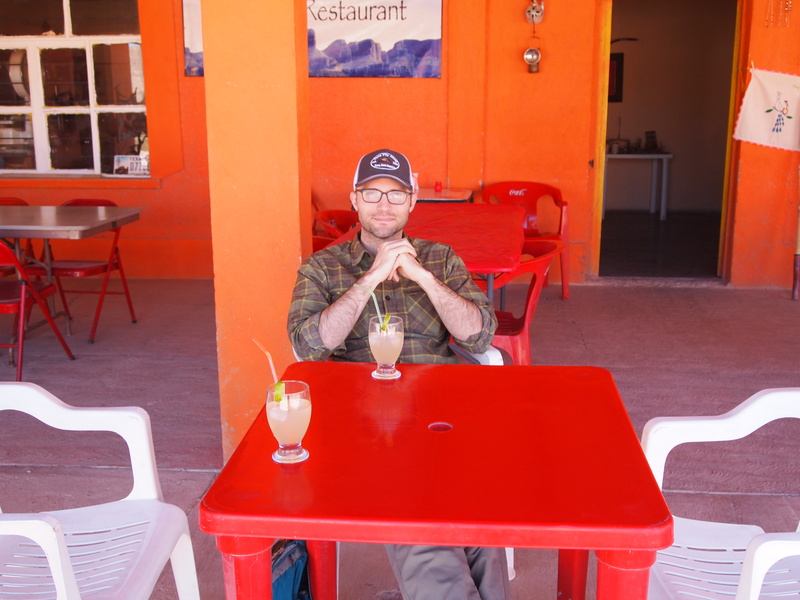 Our meal was great, although the margaritas were a bit on the weak side. Our waiter was extremely friendly and gave us a great overview of the history of the town. 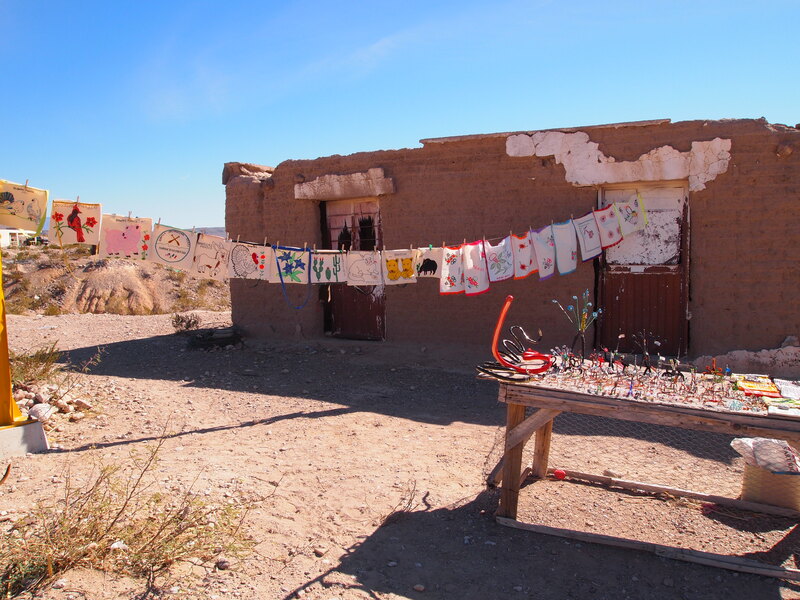 Before the border closed in 2001, Boquillas was a vibrant community which served a large portion of the tourists who visited Big Bend, along with college students from Sul Ross and the locals. 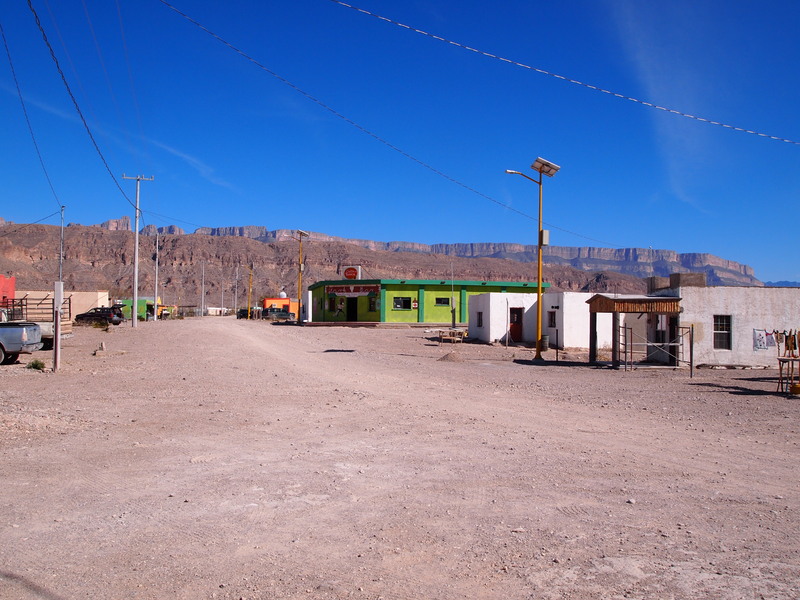 Residents of Boquillas could hop over into Big Bend to buy provisions at the stores with no risk of arrest or harassment. 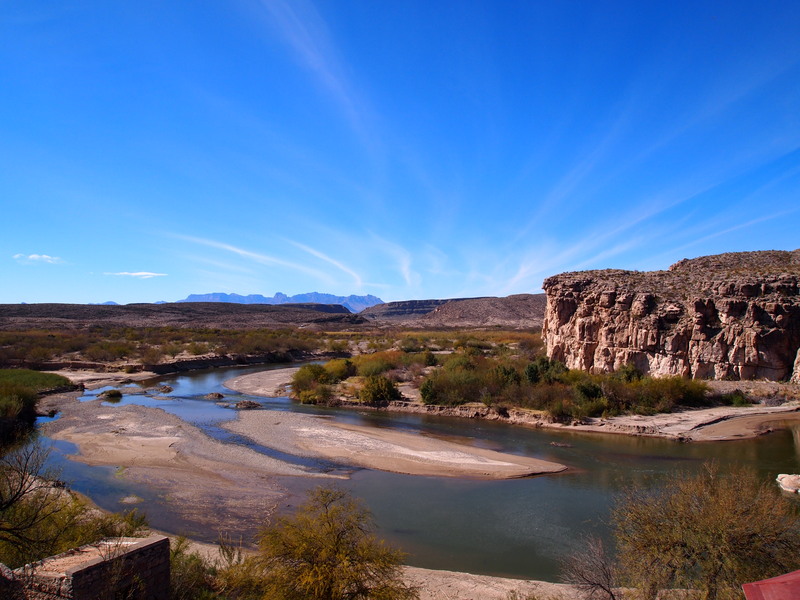 Boquillas and Big Bend were neighbors, friends. 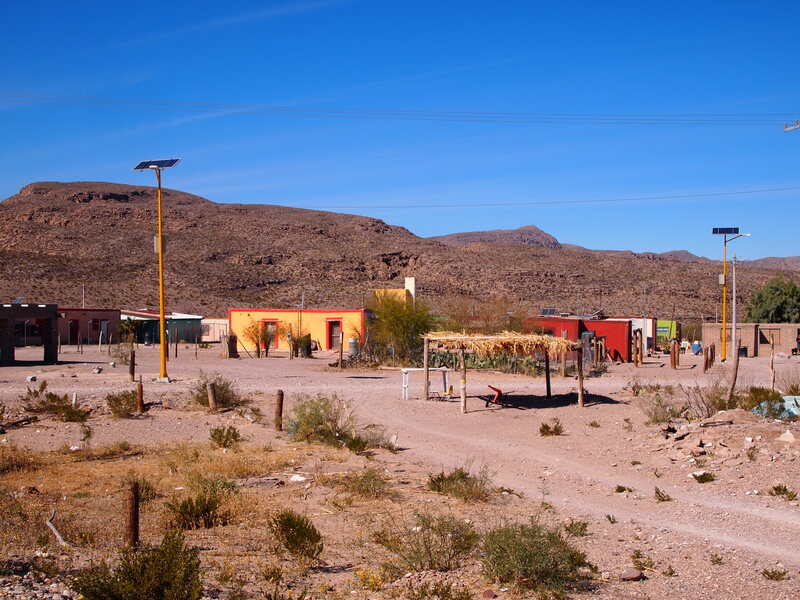 When the border closed, the residents were basically forced to leave. 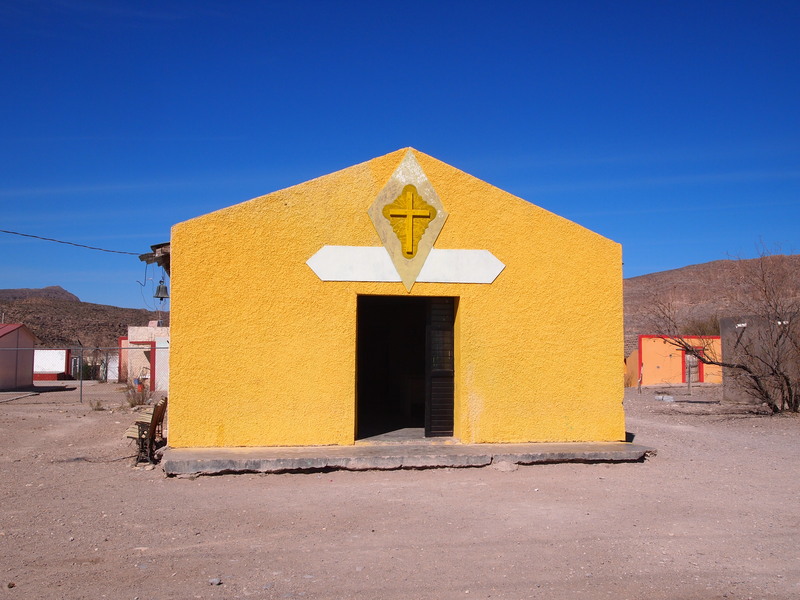 There was nothing in Boquillas without the tourism industry. 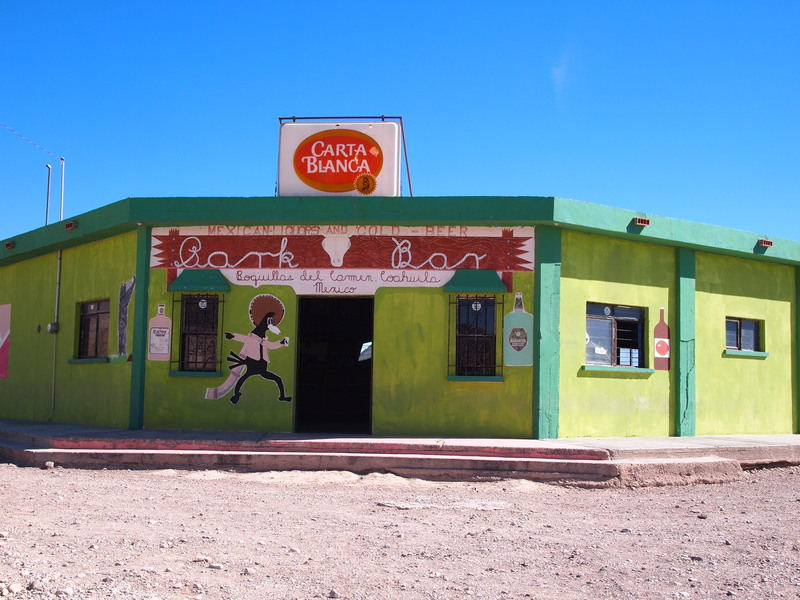 Now that the border has been open for 3 years (in April), the town is slowly being revived. However, with the new restrictions on tourists – namely, that you must have a passport – the numbers aren’t what they used to be. 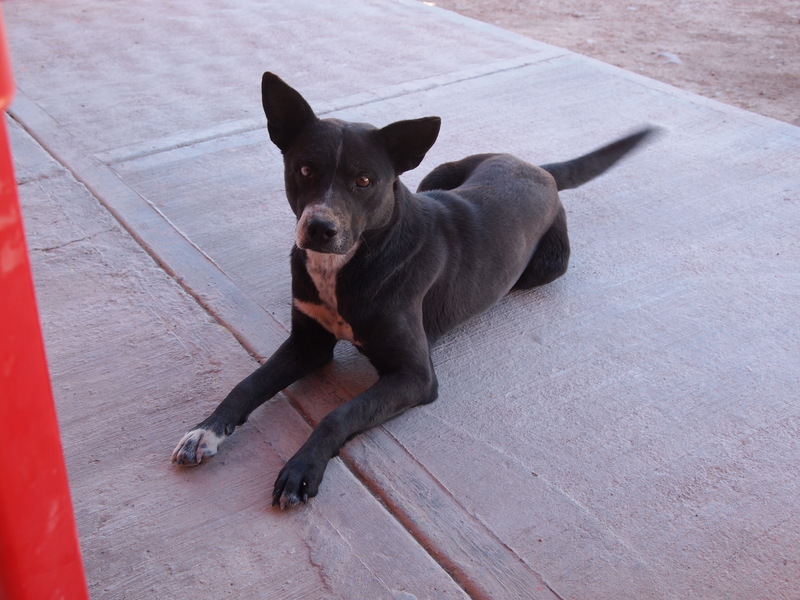 Even still, the residents are very warm and welcoming. They are genuinely happy to show tourists their town. After lunch, our guide showed us the rest of the town – of which there wasn’t much. 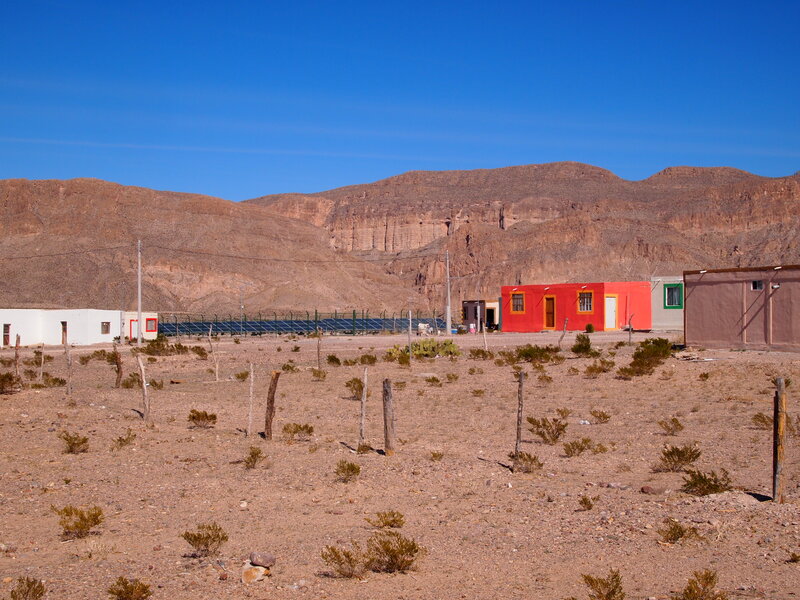 We saw the school, the church, the local watering hole, the medical clinic, and the solar panels. Our guide was young when the border closed and, as a result, doesn’t speak as much English as the children who grew up surrounded by tourists. We made do with a mix of simple English and Spanish. The tour guides’ ability to speak English seemed to be luck of the draw. A few other guides spoke more English and were able to provide more information. Spanish isn’t a necessity, but it certainly helps. 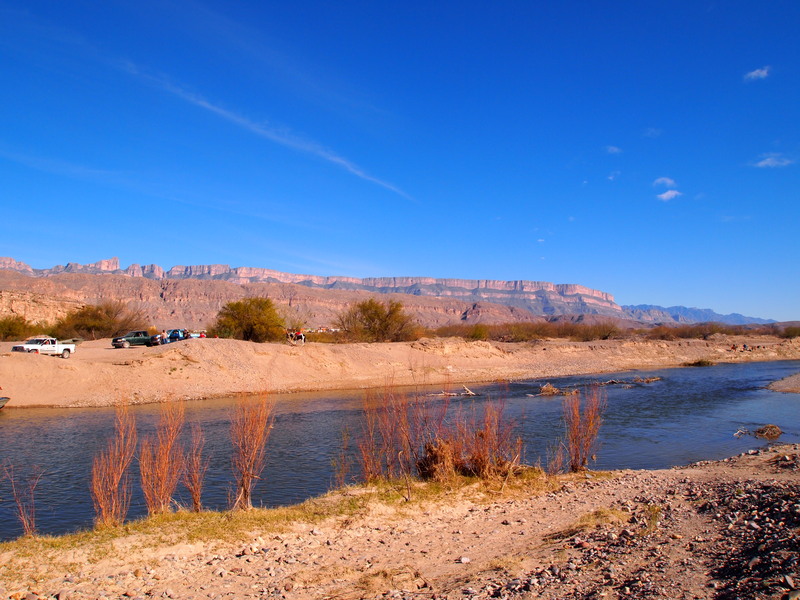 After we had made a few purchases, we were ready to begin our journey back to the other side of the Rio Grande. 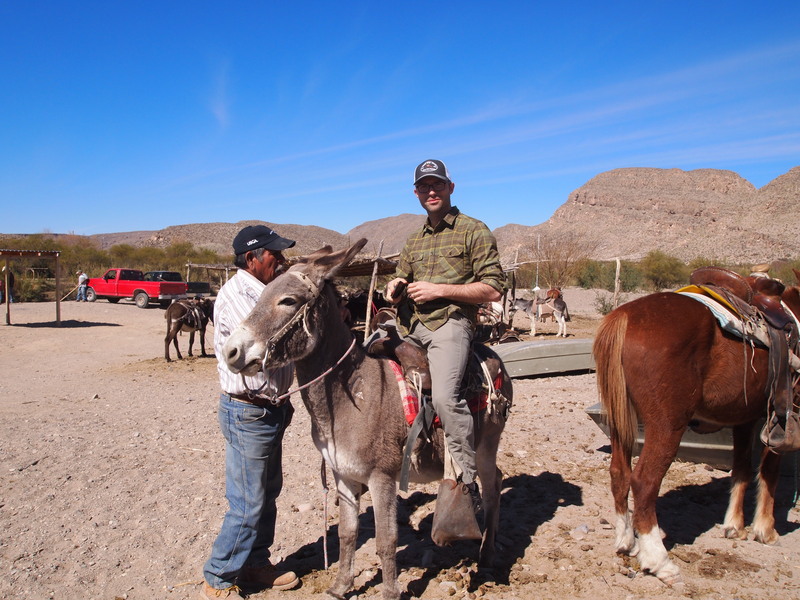 We returned our tourist permit at the customs trailer, mounted our burros, and went back to the river. 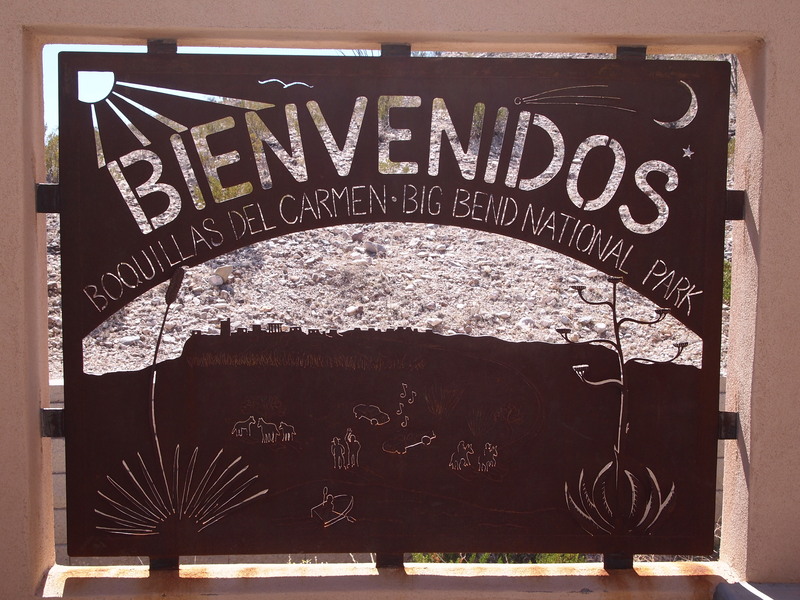 All in all, it was a great day trip, and I would highly recommend it to anyone with plans to visit Big Bend NP. Just make sure to bring your passport and enough cash!